rootaction.net » We kick pain in the teeth! Home » We kick pain in the teeth! We kick pain in the teeth! 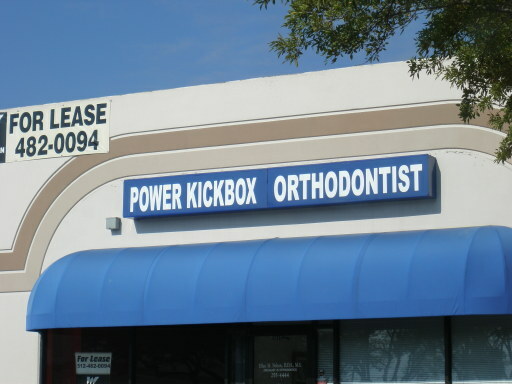 Power Kickbox Orthodontist! Not photoshopped. This building on 79 (E. Palm Valley) at N. Georgetown Ave in Round Rock. It’s behind the restaurant on the NW corner.